We all aspire to have the special wedding with the perfect theme, decorations, lights and everything that a wedding constitutes. Apart from the usual basic themed wedding people prefer oddly different wedding themes. Recently the dinosaur-themed wedding has garnered a lot of attention, making it a huge hit because it is amazing, unique and hilarious. Let’s have a look at the different aspects of having a dinosaur wedding. Now we all like a great off beat proposal, something that we can cherish our entire life. What if you can take it a notch higher, by that it means you can give your partner (who supposedly loves dinosaurs) a dinosaur proposal. Maybe you can wear a dinosaur costume (cute already) and surprise him or her on your special dinner or meet up and pop the question. That will obviously be cute, and they will cherish it for making them laugh at the first place while you ask them to make their most precious decision. So that way you lighten up the situation and the pressure subsides making it a great proposal. Imagine instead of petals and leaves adorning your wedding invitation cards, you have dinosaurs in it. 3D cards are a great way to show the dinosaur-themed card as they look nice if done well. Also, you can have gift baskets customized to the dinosaur theme and have them sent to the invitees. Imagine a dinosaur toy with a pre-recorded audio clip to invite people to your wedding. Amazing right? To have a dinosaur wedding, you need to have access to the perfect venue. With a slight pocket pinch, you can have your dream dino wedding at a museum, dinosaur-themed parks, art galleries and other specific spots where the place is dinosaur-themed. If you could manage to get permission for having a wedding at the Natural History Museum would be great too! Having your dream wedding under a dino skeleton or maybe a life-sized dinosaur statue or a robot. It is time for two dinosaurs to dance on the jungle cake or maybe a beautiful mountain. Also, you can just opt for a dinosaur head for a cake with its mouth wide open. You can just ask your designer to bake your favorite dinosaur cake according to your preference. It is your day, your cake, make the most of it. 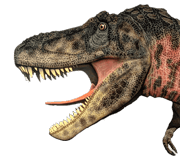 If your caterer has an option for customization then you could ask for dinosaur-themed plates, tablecloths or maybe your baked potato could be shaped like one. It is only for you what you would like to have it resemble a dinosaur. You could pre-order dinosaur glasses and have wine poured on them. Now raise a toast and ‘clink’ to the dino love. We all opt for pre-wedding, post-wedding and the usual wedding photography. So if you both are dinosaur lovers, you can opt for dinosaur photography with some animatronic dinosaurs. It can make your photographs a unique one other than the usual smiling and posing. Well, you could get whatever you wish to out of these photographs just remember to keep your emotions real and scary because no one is cute around man-eating reptiles. There are various ideas and ways how people can choose a dinosaur wedding and make it a memorable one. Maybe your wedding will be featured in some media article for being so unique. Just find the right person, and have your dream dino wedding. This entry was posted in Uncategorized and tagged dinosaur theme wedding.